Everybody loves music and without music it may be hard to survive. I don’t remember a day without listening to music and I am sure I will be listening to music until my last breath on earth. Well then, what about music player? 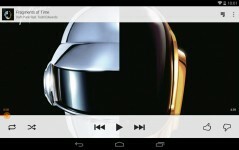 How do you like to get the best quality of music from hundreds of music player on the app market? Is there any player you like now and are using? Well if you ask me then I would have several answers. Actually I use 3 music player every day for different purposes. Can you guess what those are? May be you are thinking about Google Play Music, Spotify, Beats Music. Probably the most downloaded music players in the market. But I use one the most and you will get to know about it at the end of the article. 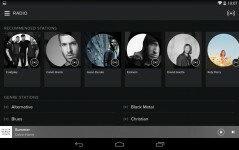 Thia is a fight among the three top music subscription apps for Android. Let get into it. Let’s analyze the features first. Ability to add 20K music of your own. There is no ad at all. 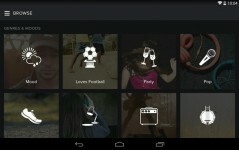 Ability to share music with friends on Google+. Automatically synced across all your devices at no charge. Buy new music on Google Play Store. Listen to unlimited music anywhere, anytime with unlimited skips. Ability to enjoy Radio functionality. Smart recommendations based on your tastes. Ad supported with access to millions of songs. Listen on mobile, tablet & computers. Supports both portrait and Landscape. Ability to see artist profile. Download music & listen offline. Ability to log in as community. Access to over 20 million songs. Download music and listen offline. Available on Android, iOS, Windows, Web, and Sonos. All of the above apps are really built professionally by top developers of Android. So making comparison would be hard. Any way there are still some points we can compare with. First of all Google Play Music and Spotify both are free to use while on the other hand Beats Music is a paid subscription app only. Of course you can download free version but you won’t have full access to all of the features. 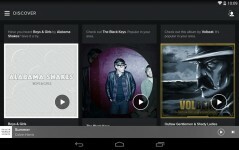 Google Play Music looks great on a tablet. All the albums shows in grid view which looks perfect and of course you can have list view as well. If you look at Beats Music you can see that it is designed more professionally. When you first open the app you will be asked to sign up. If you have already have an account then you can also sign in. Beats Music looks tremendous in portrait mood. The icons used in this app are really awesome in style and color. I am sure everyone likes this uniquely designed icon packs. In playing mode song lyrics are shown in color which I like most. Considering everything I would say they made an awesome user interface. 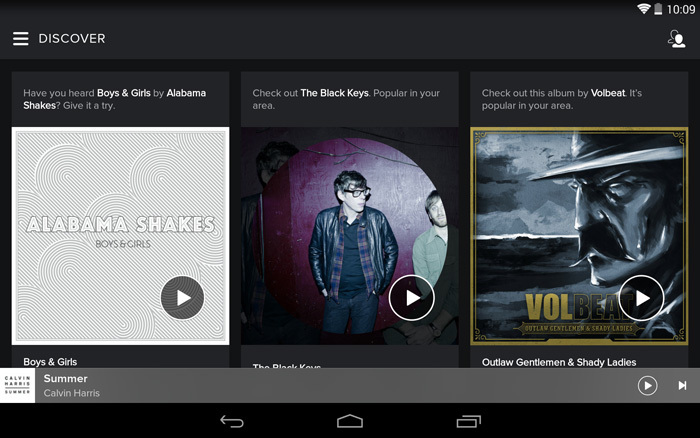 If you think about Spotify you can feel that it’s more or less designed like Beats Music. 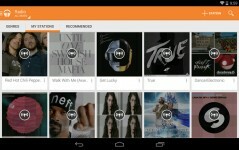 Google Play Music has a great feature which is ability to add Radio Stations. You can add multiple Radio station and listen to them later. This feature is absent from both Beats music although Spotify does have it as well. 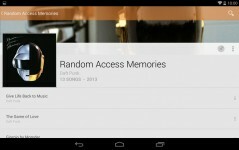 Some of my friends love this feature and they like Google Play Music because of it. 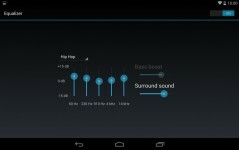 Sound quality is fabulous in Google Play Music. You can browse categorically like artist, song name, genre, most played and of course you can search the whole library at a time. On the other hand Beats Music has these feature as well and they have one thing new in music player which is you can see artist profile while playing music. You will see a profile of artist in the music player. In the profile you will see timeline and profile picture like we have in Facebook. I like this feature and this is common in Spotify as well that you can also find artist profile. 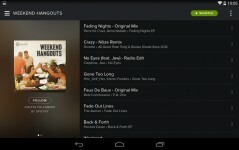 For Spotify you can download music for offline listening. Most of the cases I found Beats Music and Spotify have 80 features in common. For example Beats Music and Spotify Music is available for android, iOS, Windows and for web but Google Play Music is not available for Windows phone. As I said previously choosing one of these three would be hard because all are great apps. Still we can choose based on some criteria and those criteria are Price, Brand, and User Reviews. First let me talk about pricing. 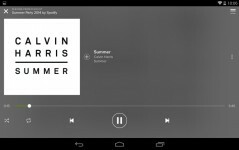 Spotify and Google play is free to use, although a subscription option is available, whereas Beats Music charges you $9.99 per month for the full user experience. So if you want the best user experience and willing to pay then I would say go for Beats Music. If you do not want to spend money then go for Spotify since it’s 80% same as Beats Music. You can have almost all the features in it for free. Now if it is about brand then you know which one you should choose. 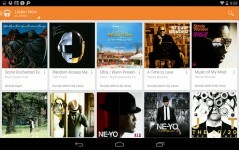 Yes, you are right you must go with Google Play Music. Then comes user review. If you want to use a music player recommended by the thousands of users then you have only one choice which is Spotify Music. It has 4.4 rating and it’s the highest rating among the music player apps. So pick one and enjoy every bit of music you listen to everyday. Good Luck!